Norwich holds the tenth place in the standings in Barclays Premier league, but the team managed to beat teams like Manchester United and Arsenal. An achievement that very few teams in the league can be proud of. Now at Carrow Road comes Chelsea, which just a few days ago made the biggest win in the Premier League this season, over Aston Villa with 8:0 at home. It is obvious that Chelsea enters this match as a strong favourite, but how will they manage to deal with Norwich? In their last matches, Norwich showed extremely strong performance by playing very compact in the defence and relying on a heavy central striker to deal with the opponents’ defence. It definitely brings them success as at home Norwich has lost only one game to Liverpool so far. They have the incredible five wins and two draws. Their compact playing style is shown even more clearly in their away matches as they have five draws in ten matches. Only Stoke City has more in the entire league. Will Chelsea strikers be able to break that defensive line? This is the key issue in the match. Fernando Torres finally shows everything that was expected of him. 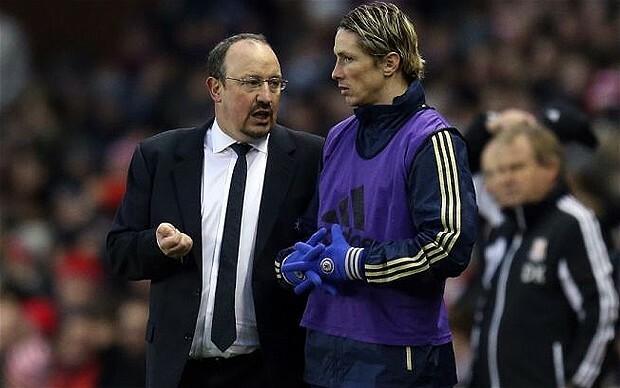 After the appointment of the new team manager Rafael Benitez, Torres started to do what he was supposed to do – scoring goals. This must be counted without doubt when making our betting prediction for this match. On the other side, Chelsea’s defence is specialized in dealing with lone strikers in their heavy penalty area, which means that the team of Norwich will be very limited in terms of scoring goals. That’s why I can bet on fewer goals scored in this match. The bookmakers offer good odds to play for under than 3 goals scored in the match. Bet365 proposal for this bet is 1,725, which is enough. For me, this game will produce around two goals, but I still leave one more goal which if it happens to return me the stake.